Lies. 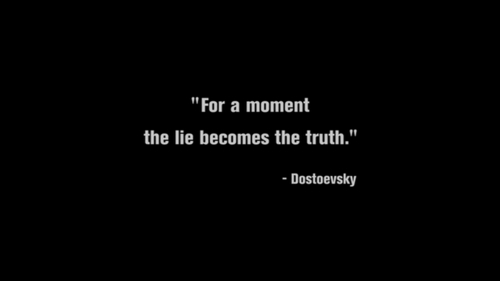 "For a moment the lie becomes the truth." -Dostoevsky. HD Wallpaper and background images in the The Black Donnellys club tagged: the black donnellys screencaps episode 5 lies quote.